I have a dilemma. I love Whimzy’s yarns, and I recommend Twisted MN for the Slipstream patterns. 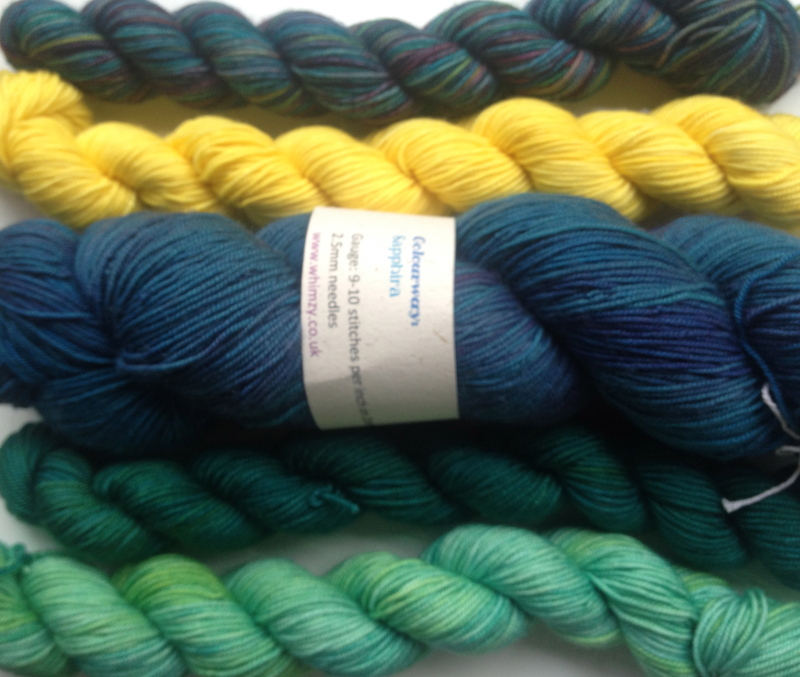 But I don’t want share a review of Twisted MN until I can share photos of the MKAL samples! So, as a compromise our next review is of Whimzy’s unique Sokkusu O, so at least I can share expert dyer Ling’s beautiful colours. Announcing not one but two Mystery Knitalongs, starting 1 July! Follow the clues to make gorgeous mitts or a cowl.